Industry, innovation and infrastructure for enhanced well-being and livelihoods — these three themes were core to the University of Cincinnati’s 2018 Research and Innovation Week. University officials at the UC Office of Research highlighted these ideals to align with both the United Nations 2030 Agenda for Sustainable Development and the University’s strategic direction. Altogether, the university welcomed more than 80 experts to speak across 75 topic areas at this year’s annual event. Its series of experiments, discussions, lectures and displays underscore how Uptown Consortium member institutions are fundamental to our region’s innovation economy. Mark your calendars now: next year’s Research and Innovation Week—occurring during the University’s bicentennial—will take place April 1-6, 2019. UC Professor and Executive Director of the Center for Field Studies David Lentz shares how perspectives from history can provide lessons for the future in his presentation of the Maya City of Takal. Assistant Professor of UC School of Design at DAAP Heekyoung Jung, PhD (middle), participates in a UC Research Week 2018 lecture. Dr. Gjoko Muratovski, Director of the UC School of Design at DAAP, shares his passion for design research and corporate communication strategies. Alison Weiss, PhD, Professor of Molecular Genetics, Biochemistry and Microbiology, speaks during UC Research Week 2018. Chief Innovation Officer at UC David Adams, MSE, speaks about the important role of innovation and research. 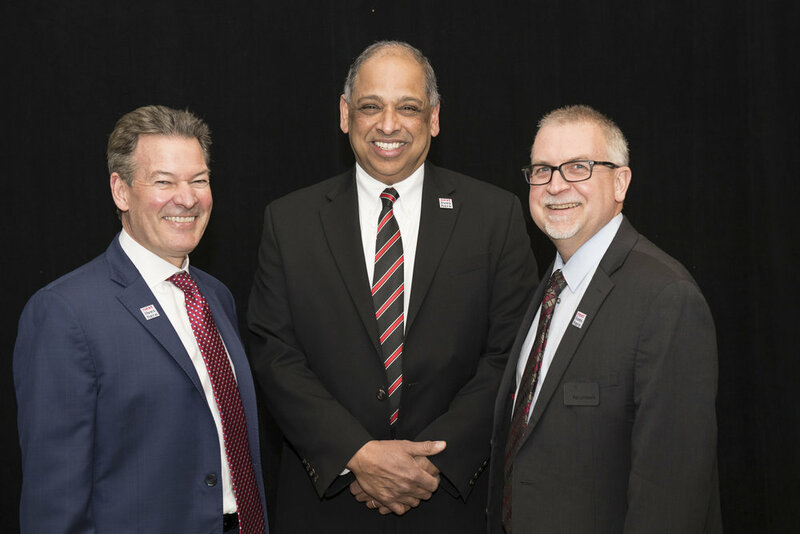 UC President and Uptown Consortium Board Chairman Neville Pinto, PhD, (Center) shares a laugh alongside event speakers and organizers Chief Innovation Officer at UC David Adams, MSE (left) and UC Vice President for Research Patrick Limbach, PhD (right).